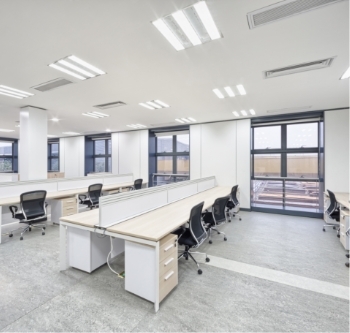 We specialise in commercial lighting is a speciality of ours and applying the correct lighting solution to enhance a business need often separates ourselves from our competitors. From the design stage we specify the correct lighting levels and types of lighting that are required. Our schemes are designed in full compliance with the latest lighting IEE regulations to minimise glare and provide the most suitable even light levels evenly over the whole area to be lit. We install both manual switching and PIR sensor switching to comply with Building Regulations, as required. 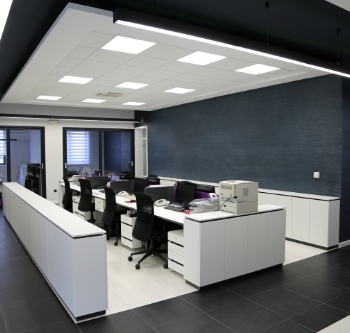 Our schemes include recessed modular lights fitted into ceiling grids, surface mounted lights fitted below the ceiling, recessed down lighters and wall uplighters, for example.